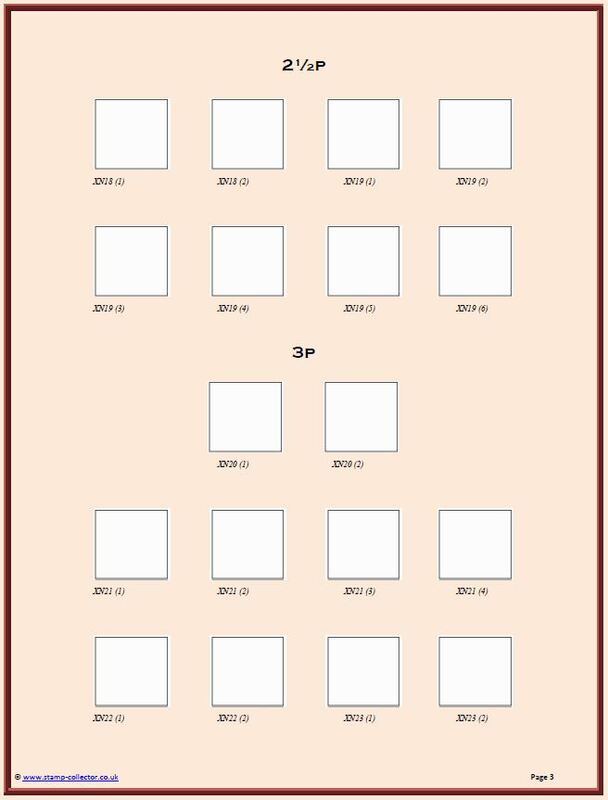 What's the best way to identify different sheet issues? The answer is to collect cylinder singles. This album will allow you to both identify and display them. 50+ pages from 1971 until these issues stopped being produced in 2000. Spaces for both the dot and no dot issues. 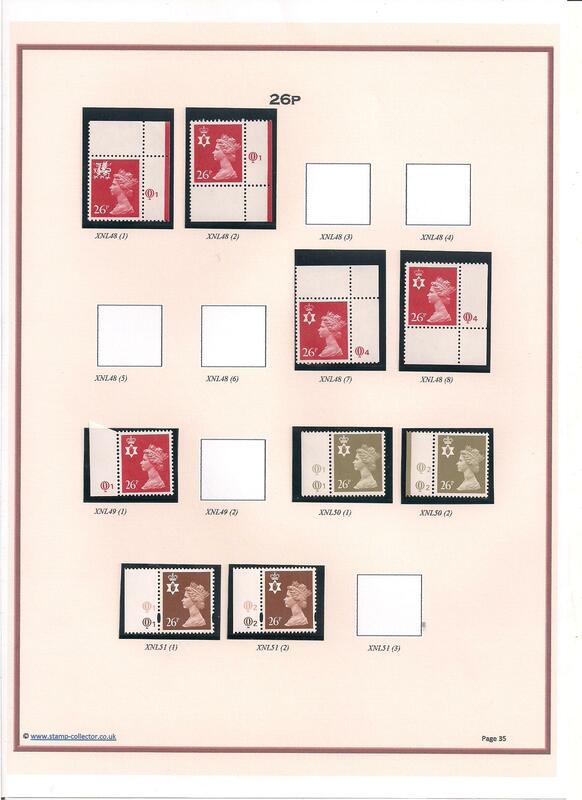 Also takes into account the stamps with cylinder numbers produced in the right margin (see illustrations below). Attach your stamps either with hinges or mounts (recommended). Print as many or as few pages as you need as many times as you want. 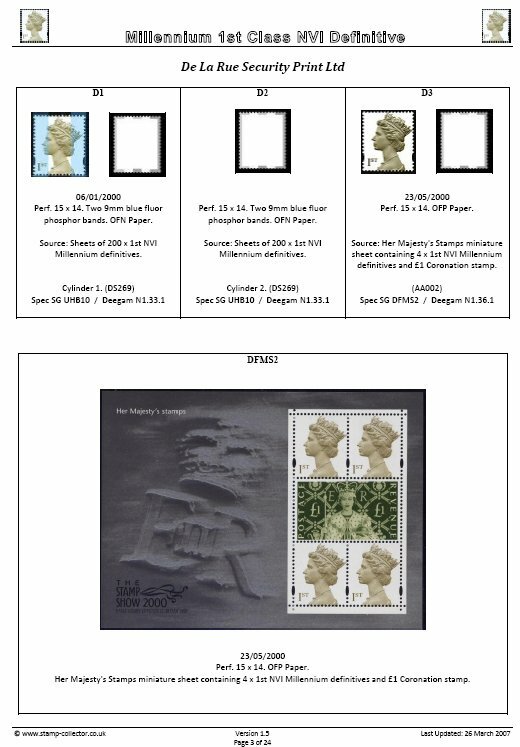 To ensure completion pages for Prestige booklets containing Northern Irish Machin stamps are also included at the end of the album. This is a digital album. All pages are in PDF format for ease of printing. Pages are suitable for both A4 and US Letter size printers. You can print one, selected or all pages as many times as you need. ACROBAT READER is required, ADOBE supply a free download; Download Adobe Reader here. Pages will be emailed for download within 24 hours of payment being received. If you do not receive your "download email" within that time-frame please first check your "SPAM" email box and if still not found please email me and I will re-send it. FULL SUPPORT is offered where any pages are found to be incorrect or issues are missing. 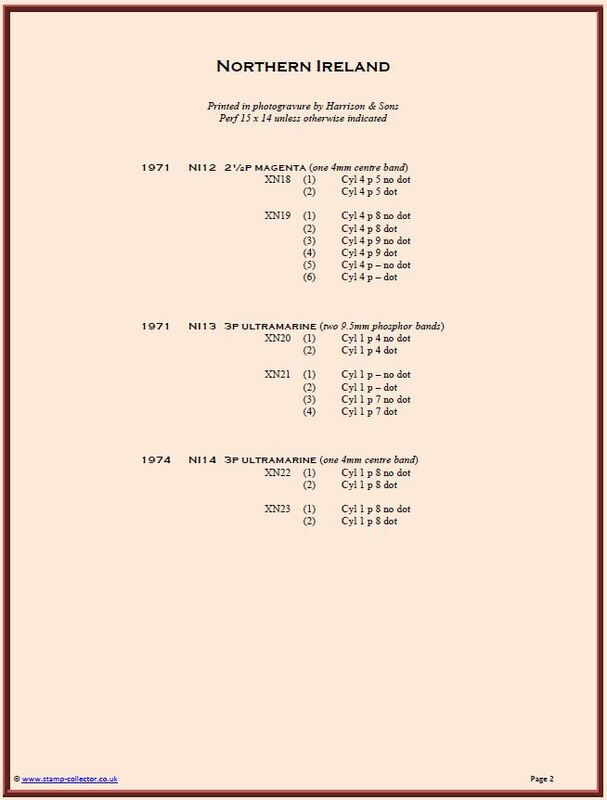 It allows the collection and display of all the different varieties of cylinder singles available to this particular part of the Decimal era issued between 1971 and 2000. A couple of sample pages are provided below. Two of them show stamps - these are from my copy of the album and are not supplied. 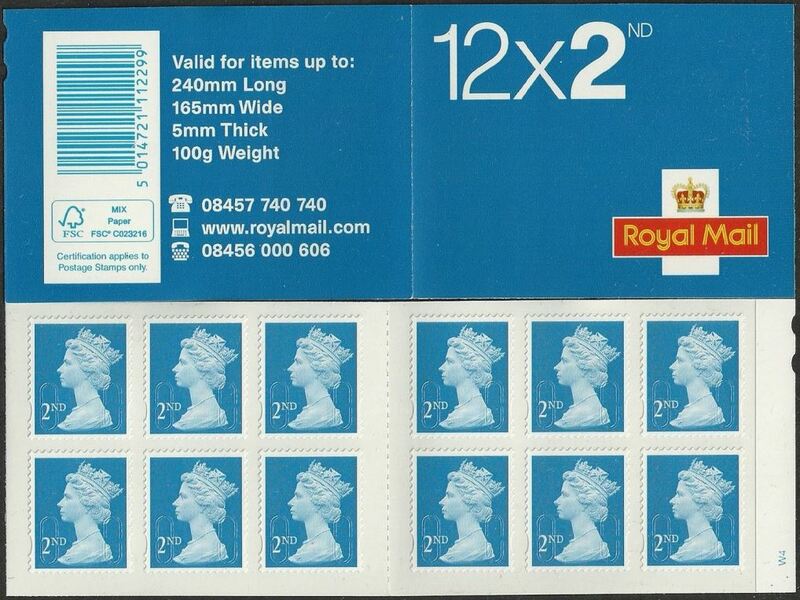 However a number of cylinder singles are available to purchase on the site. The first two images show pages from my personal album with stamps attached by mounts. 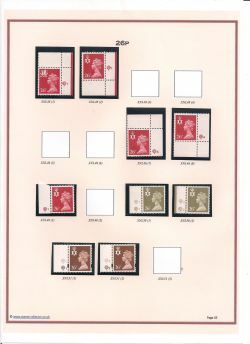 The next two images show examples of the 2½p and 3p layout. 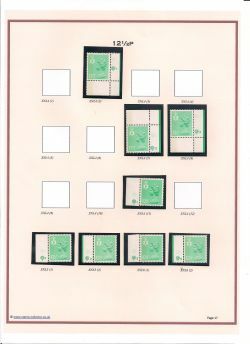 Each of the 50 pages is laid out in a similar manner, with the description on the left-hand page and spaces for stamps on the right-hand page. Similar albums for Scotland and Wales will soon become available.